CORONA — The organizer of a proposed night market that would showcase the borough's international flavors and style needs your help to make it happen. 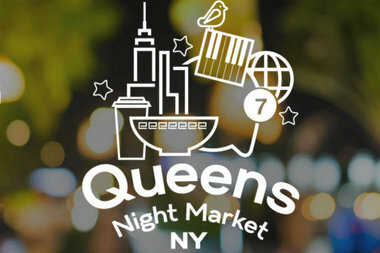 John Wang, organizer of Queens International Night Market, launched the Kickstarter campaign for his project this week and hopes to raise $100,000 to help subsidize the costs for vendors. Wang — who said his travels to famous night markets around the world inspired his plan for Queens — wants to kick off the family-friendly market on April 25, and have it run weekly through October. The market "could be really great for New York City, and I hope it becomes a permanent and beloved addition to the rich cultural landscape of the city," he wrote in an email. Its location, likely at NYSCI in Flushing Meadows-Corona Park, will tie together the area's cultural and historical influences with 150 participating food carts, vendors and artists to start, Wang said. The rewards for the project's backers also celebrate the borough's culture. You can receive tickets to the Queens Museum, NYSCI and Queens Zoo; all-you-can eat VIP wristbands for the market; and food tours from two of the borough's biggest food boosters, depending on what you give. Pledges of $1,000 or more will give you 10 all-you-can-eat wristbands so you can treat your friends to a night at the market, which Wang hopes will feature food vendors from all over Queens. The project had raised more than $2,500 from 42 people as of Friday afternoon. To donate, visit the market's Kickstarter page.